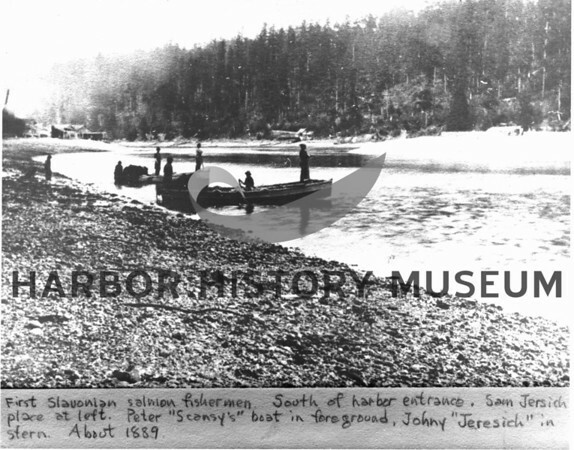 First Slavonian salmon fishermen, south of Gig Harbor entrance about 1889. Sam Jerisich place at left. Peter Skansie's boat in foreground. Johnny Jerisich in stern. Two rowing seiners shown near shore. Three pairs of oars capability.